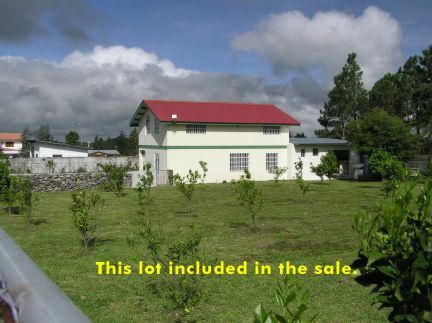 This three bedroom country house , in a quiet area of Volcan offers excellent value for the retiree who wants extra income. The house comes with an additional income-producing guest house that brings in up to $350 a month. House sits on a large lot which allows for considerable expansion to the house, posssibly to double its size. 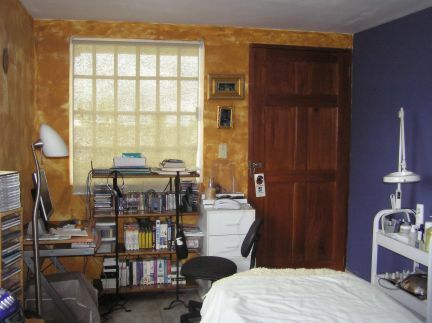 The home has been tastefully and professionally decorated and offers a wonderful air of tranquility. 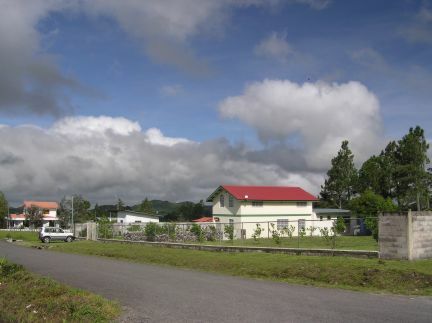 From the study or front garden you have an unobstructed view to Panama's tallest peak: the 11,400 foot Baru Volcano. Because of the low light pollution, night times are especially wonderful as you can view the brilliance of a tropical starry night - from spectacular sunset, to fresh and awe inspiring dawning. The home features a large and tiled kitchen-ideal for entertaining guests. Tiling on floors and walls makes cleaning a snap. Perfect for the couple who like to entertain. 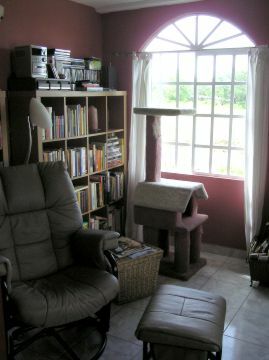 The current owner uses the front room as a massage therapy salon. With the house set well back from the road, this affords peace and seclusion, ideal for writers or for retirees who just want a place to enjoy the peace and quiet of a mountain country home. Many people are looking for additional land with their home - unfortunately Volcan's rise in popularity is making this difficult. The good news is that the large lot will appreciate in value along with the house, and just like money in the bank, will always be there when you need it. In the mean time the new home owners will have ample space all around their dream retirement home. Volcan has four supermarkets, three banks, four hardware stores, three gas stations, and over thirty five places to eat. Hi-speed internet is available and also Satellite television with CBS, NBC, ABC, and BBC and CNN news channels. So you will not need to forgo your favourite back-home programs. One hour away is the provincial capital of David, with absolute first world supermarket shopping. Also an hour drive away is the wonderful palm-treed beaches of the Pacific ocean. Jeannie Friedman is the owner of this little piece of Shangri-La and is happy for you to email her with your obvious questions.